#SunnyvaleCA Hello! Dr. Tony Tropea here, If you are suffering from any type of repetitive strain injury, whether it was caused by work, sport or entertainment, you need to get the help that you need. Chiropractic care can ensure that not only is the full range of motion restored to the area affected by your repetitive stress injury but is also able to lessen, and in many cases fully end, the pain that is felt in the area as well. Why not make an appointment at my office at 260 S Sunnyvale Ave, 94086? 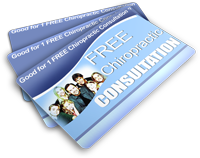 I have worked with many patients in and around Sunnyvale, and I know that as a highly regarded chiropractor that I can be very helpful to you, not only for this condition but for the health and welfare of you and your family. It is important that you understand that chiropractic care is an ongoing process and, of course, you will have to do your own part, including following specific and targeted exercises in addition to care in my Sunnyvale office. As an established and licensed professional in the city of Sunnyvale, I have built up a practice based on successful care and a good reputation. No matter how your repetitive strain injury happened, your first step should be to call me, Dr. Tropea at my Sunnyvale office. We can work together to establish the cause of your repetitive stress injury as well as work out a treatment plan so that you can be restored to full function and a pain-free level of health. Don’t spend another minute suffering from the pain of your repetitive stress injury, call me, Dr. Tropea, today at my Sunnyvale office and start working on feeling the best that you can.